Today I am going to look at H.J. Blackham and the artist featured today is Arturo Herrera. Herrera’s art interests me because it is based on the idea that accidental chance can bring about something beautiful and that is the same place that materialistic modern men like Blackham have turned to when they have concluded that the origin of our existence can be explained by evolution which the combination of time, chance and matter and no designer needed. The humanist H. J. Blackham had this same message that “On humanist assumptions, life leads to nothing, and every pretense that it does not is a deceit. If there is a bridge over a gorge which spans only half the distance and ends in mid-air, and if the bridge is crowded with human beings pressing on, one after the other they fall into the abyss. The bridge leads nowhere, and those who are pressing forward to cross it are going nowhere….It does not matter where they think they are going, what preparations for the journey they may have made, how much they may be enjoying it all. The objection merely points out objectively that such a situation is a model of futility“( H. J. Blackham, et al., Objections to Humanism (Riverside, Connecticut: Greenwood Press, 1967). Actually this one quote alone from Blackham made me want to share the message that Christ does provide a lasting meaning to our lives, and that is why I started writing several leading atheists in the 1990’s. In my letters I demonstrated that there is evidence that points to the fact that the Bible is historically true as Schaeffer pointed out in episode 5 of WHATEVER HAPPENED TO THE HUMAN RACE? There is a basis then for faith in Christ alone for our eternal hope. This link shows how to do that. Norm Geisler argues via Kalam Cosmological Argument for the origins of the universe with the Second Law of Thermodynamics. No matter how much evidence Geisler gave, Paul Kurtz refused to fully acknowledge the implications of it, while NEVER giving evidence for his own interpretation of the universe’s beginning. Paul Kurtz teamed up with H.J.Blackham and put together the Humanist Manifesto II which they both signed in 1973. 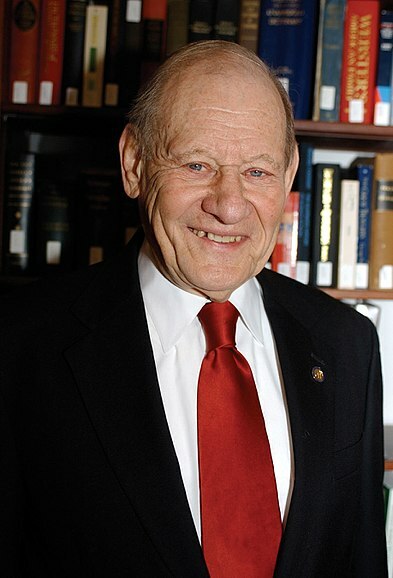 I wrote back in 2012 when Paul Kurtz passed away that he was a fine gentleman that I had a chance to correspond with and I read several of his books (Forbidden Fruit was his best effort). One thing I vividly remember from the writings of Paul Kurtz was his love of life and his love for others. However, how can a materialist like Kurtz stay optimistic about his future when he did not believe in God or an afterlife? At the time when I was reading his writings that question kept popping up in my mind. It is truly ironic to me that a truly outstanding person such as the British Humanist H.J. Blackham who lived such a long and interesting life would make the statement that “…On humanist assumptions, life leads to nothing…” In fact, when Norman Geisler quoted this from Blackham in his famous debate with Paul Kurtz on the John Ankerberg Show, Kurtz said he knew Blackham and he was surprised that he would say such a thing, but that had been my contention that a secularist humanist worldview would logically lead to nihilism such as the nihilism that King Solomon discussed in Ecclesiastes (more on that later). How did humanist man get to that pessimistic conclusion? 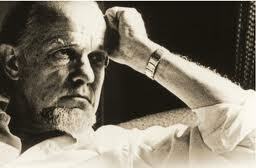 Francis Schaeffer has shed some light on that in his book WHATEVER HAPPENED TO THE HUMAN RACE? Following is the first few pages of the chapter “The Basis for Human Dignity” which is found in the book WHATEVER HAPPENED TO THE HUMAN RACE? by Francis Schaeffer. So far in this book we have been considering an evil as great as any practiced in human history. Our society has put to death its own offspring, millions upon millions of them. Our society has justified taking their lives, even claiming it a virtue to do so. It has been said that this is a new step in our progress toward a liberated humanity. Such a situation has not come out of a vacuum. Each of us has an overall way of looking at the world, which influences what we do day by day. This is what we call a “world-view.” And all of us have a world-view, whether we realize it or not. We act in accordance with our world-view, and our world-view rests on what to us is the ultimate truth. What has produced the inhumanity we have been considering in the previous chapters is that society in the West has adopted a world-view which says that all reality is made up only of matter. This view is sometimes referred to as philosophic materialism, because it holds that only matter exists; sometimes it is called naturalism, because it says that no supernatural exists. Humanism which begins from man alone and makes man the measure of all things usually is materialistic in its philosophy. Whatever the label, this is the underlying world-view of our society today. In this view the universe did not get here because it was created by a “supernatural” God. Rather, the universe has existed forever in some form, and its present form just happened as a result of chance events way back in time. Society in the West has largely rested on the base that God exists and that the Bible is true. In all sorts of ways this view affected the society. The materialistic or naturalistic or humanistic world-view almost always takes a superior attitude toward Christianity. Those who hold such a view have argued that Christianity is unscientific, that it cannot be proved, that it belongs simply to the realm of “faith.” Christianity, they say, rests only on faith, while humanism rests on facts. So some humanists act as if they have a great advantage over Christians. They act as if the advance of science and technology and a better understanding of history (through such concepts as the evolutionary theory) have all made the idea of God and Creation quite ridiculous. This superior attitude, however, is strange because one of the most striking developments in the last half-century is the growth of a profound pessimism among both the well-educated and less-educated people. The thinkers in our society have been admitting for a long time that they have no final answers at all. … alienation, loneliness [and] emptiness verging on madness…. The fundamental thing behind all motivation and all activity is the constant struggle against annihilation and against death. It’s absolutely stupefying in its terror, and it renders anyone’s accomplishments meaningless. As Camus wrote, it’s not only that he (the individual) dies, or that man (as a whole) dies, but that you struggle to do a work of art that will last and then you realize that the universe itself is not going to exist after a period of time. Until those issues are resolved within each person – religiously or psychologically or existentially – the social and political issues will never be resolved, except in a slapdash way. 78. “When Scientists Play the Role of God,” London Times, November 16, 1978. 79. H. J. Blackham, et al., Objections to Humanism (Riverside, Connecticut: Greenwood Press, 1967). Francis Crick was in agreement with H.J.Blackham’s materialistic views and he concluded, “The Astonishing Hypothesis is that you—your joys and your sorrows, your memories and your ambitions, your sense of personal identity and free will, are in fact no more than the behavior of a vast assembly of nerve cells and their associated molecules” What if all this is true? What if the cosmos and the chemicals and the particles really are all that there is, and all that we are? “Eventually materialist philosophy undermines the reliability of the mind itself-and hence even the basis for science. The true foundation of rationality is not found in particles and impersonal laws, but in the mind of the Creator who formed us in His image.” —Phillip E. Johnson, Defeating Darwinism by Opening Minds “Can man live without God? Of course he can, in a physical sense. Can he live without God in a reasonable way? The answer to that is No!” Then there is the problem the longing for satisfaction that every person feels. This is the same question that Solomon asked 3000 years ago in the Book of Ecclesiastes. He knew there was something more. These two verses below take the 3 elements mentioned in a materialistic worldview (time, chance and matter) and so that is all the unbeliever can find “under the sun” without God in the picture. You will notice that these are the three elements that evolutionists point to also. Let me show you some inescapable conclusions that Francis Schaeffer said you will face if you choose to live without God in the picture. Solomon came to these same conclusions when he looked at life “under the sun” in the Book of Ecclesiastes. Nothing in life gives true satisfaction without God including learning (1:16-18), laughter, ladies, luxuries, and liquor (2:1-3, 8, 10, 11), and labor (2:4-6, 18-20). Solomon had all the resources in the world and he found himself searching for meaning in life and trying to come up with answers concerning the afterlife. However, it seems every door he tries to open is locked. Today people try to find satisfaction in education, alcohol, pleasure, and their work and that is exactly what Solomon tried to do too. None of those were able to “fill the God-sized vacuum in his heart” (quote from famous mathematician and philosopher Blaise Pascal). You have to wait to the last chapter in Ecclesiates to find what Solomon’s final conclusion is. In 1978 I heard the song “Dust in the Wind” by Kansas when it rose to #6 on the charts. That song told me that Kerry Livgren the writer of that song and a member of Kansas had come to the same conclusion that Solomon had. I remember mentioning to my friends at church that we may soon see some members of Kansas become Christians because their search for the meaning of life had obviously come up empty even though they had risen from being an unknown band to the top of the music business and had all the wealth and fame that came with that. Furthermore, Solomon realized death comes to everyone and there must be something more. Both Kerry Livgren and Dave Hope of Kansas became Christians eventually. Kerry Livgren first tried Eastern Religions and Dave Hope had to come out of a heavy drug addiction. I was shocked and elated to see their personal testimony on The 700 Club in 1981 and that same interview can be seen on youtube today. Livgren lives in Topeka, Kansas today where he teaches “Diggers,” a Sunday school class at Topeka Bible Church. Hope is the head of Worship, Evangelism and Outreach at Immanuel Anglican Church in Destin, Florida. Take a minute and compare Kerry Livgren’s words to that of H.J. Blackham. Harold John Blackham (31 March 1903 – 23 January 2009) was a leading British humanist philosopher, writer and educationalist. He has been described as the “progenitor of modern humanism in Britain”. Born in Birmingham, Blackham left school following the end of World War I, and became a farm labourer, before gaining a place at Birmingham University to study divinity and history. He acquired a teaching diploma and was the divinity master atDoncaster Grammar School. Joining the Ethical Union, Blackham drew the organisation further away from religious forms and played an important part in its formation into the British Humanist Association, becoming the BHA’s first Executive Director in 1963. 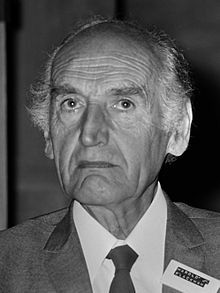 He was also a founding member of the International Humanist and Ethical Union (IHEU), IHEU secretary (1952–1966), and received the IHEU’s International Humanist Award in 1974, and the Special Award for Service to World Humanism in 1978. In addition he was one of the signers of the Humanist Manifesto. His book, Six Existentialist Thinkers, became a popular university textbook. He died on 23 January 2009 at the age of 105. The Humanist Tradition (1953). London: Routledge. Barbara Smoker, a fellow humanist who published Blackham’s Best. Jump up^ Barbara Smoker (2003). “Blackham’s Best”. Blackham’s Best – Selected by Barbara Smoker. ISBN 095126351X. ^ Jump up to:a b Barbara Smoker (19 April 2009). “Harold Blackham SPES Memorial Meeting”. SPES Memorial Meeting pamphlet. Jump up^ “Humanist Manifesto II”. American Humanist Association. Retrieved 7 October 2012. Featured artist today is Arturo Herrera!!!!! The reason I am featuring Arturo Herrera today is very simple. He is the best artist I can think of that illustrates where modern man had found himself today. Episode #061: In his Berlin studio, Arturo Herrera discusses his relationship to creating abstract collages and images. Herrera takes the process of abstraction a step further by photographing fragments of his collages, such as in the work “Untitled” (2005), a series of 80 black and white photographs. He submerges the undeveloped film in hot and cold water, coffee, and tea, creating unpredictable results when printed. Editing the photos into a grid of images, Herrera creates a work thats greater than its individual parts. For Arturo Herrera, abstraction is a language rooted in the practice of assembling and composing fragments. Herrera collects illustrated books, comics, and paint-by-number paintings, cutting and splicing them into new forms. He also creates his own source material by fragmenting drawings, watercolors, and shapes made by applying paint directly from the tube. Herrera collages all of these elements together, pasting them together to create a new whole. VIDEO | Producer: Wesley Miller and Nick Ravich. Interview: Susan Sollins. Camera & Sound: Terry Doe and Leigh Crisp. Editor: Jenny Chiurco. Artwork Courtesy: Arturo Herrera. DO YOU NOW SEE WHY I HAVE FEATURED ARTURO HERRERA TODAY? HE IS LIVING OUT HIS LIFE AS AN ARTIST DISPLAYING HIS MATERIALISTIC CHANCE WORLDVIEW IN HIS ART!!!! Let me repeat what I said that Solomon was trying to say 3000 years ago in the book of Ecclesiastes. Ecclesiastes 9:11-12 is following: I have seen somthing else under the sun: The race is not to the swift or the battle to the strong, nor does food come to the wise or wealth to the brillant or favor to the learned; but time and chance happen to them all. Moreover, no one knows when their hour will come: As fish are caught in a cruel net, or birds are taken in a snare, so people are trapped by evil times that fall unexpectedly upon them. Fortunately some modern philosophers and scientists are starting to wake up and realize that materialistic chance evolution was not responsible for the origin of the universe but it was started by a Divine Mind. In fact, Antony Flew who was probably the most famous atheist of the 20th century took time to read several letters I sent him the 1990’s which included much material from Francis Schaeffer and he listened to several cassette tapes I sent him from Adrian Rogers and then in 2004 he reversed his view that this world came about through evolution and he left his atheism behind and because a theist. I still have several of the letters that Dr. Flew wrote back to me and I will be posting them later on my blog at some point. Episode #055: Filmed in his Berlin studio, artist Arturo Herrera discusses themes of subjectivity and abstraction while drawing connections between his love of music and his hopes for how audiences come to appreciate his visual work. Arturo Herrera is featured in the Season 3 (2005) episode “Play” of the “Art:21—Art in the Twenty-First Century” television series on PBS. VIDEO | Producer: Wesley Miller and Nick Ravich. Interview: Susan Sollins. Camera & Sound: Terry Doe and Leigh Crisp. Editor: Jenny Chiurco. Artwork Courtesy: Arturo Herrera. Special Thanks: Sikkema Jenkins & Co., New York. Episode #068: Arturo Herrera’s assistant Jeff Bechtel describes the process for translating one of the artist’s complex drawings into a refined monochromatic paper collage. Filmed in Herrera’s New York studio, Bechtel discusses how cartoon sources and stock imagery become abstracted into larger systems. Arturo Herreras work includes collage, work on paper, sculpture, relief, wall painting, photography, and felt wall-hangings. Rooted in the history of abstraction, Herreras playful work taps into the viewers unconscious, often intertwining fragments of cartoon characters with cut-out shapes and partially obscured images that evoke memory and recollection. VIDEO | Producer Wesley Miller & Nick Ravich. Interview: Eve Moros Ortega. Camera: Mead Hunt. Sound: Roger Phenix. Editor: Jenny Chiurco. Artwork Courtesy: Arturo Herrera. Special Thanks: Jeff Bechtel. Arturo Herrera said he took photographs of whatever was lying around in the studio. Americas Society Visual Arts Director Gabriela Rangel said of Herrera’s work: “There is a product of chance very present in the photos.” At the 2:40 point in the below film Arturo Herrera said he hired a computer programmer that created a chance order that his pictures would appear in combination with the music that was playing. Watch a video of artist Arturo Herrera and Curator and Americas Society Visual Arts Director Gabriela Rangel discuss the process of putting together the exhibition Arturo Herrera: Les Noces (The Wedding), at Americas Society art gallery. The artist also gives a tour of selected pieces in the exhibition. Video produced by David Gacs. To learn more, go to http://www.as-coa.org/VisualArts. Arturo Herrera was born in Caracas, Venezuela in 1959, and lives and works in New York and Berlin, Germany. He received a BA from the University of Tulsa, Oklahoma, and an MFA from the University of Illinois at Chicago. Herrera’s work includes collage, works on paper, sculpture, relief, wall painting, photography, and felt wall hangings. His work taps into the viewer’s unconscious—often intertwining fragments of cartoon characters with abstract shapes and partially obscured images that evoke memory and recollection. Using techniques of fragmentation, splicing, and re-contextualization, Herrera’s work is provocative and open-ended. For his collages, he uses found images from cartoons, coloring books, and fairy tales, combining fragments of Disney-like characters with violent and sexual imagery to make work that borders between figuration and abstraction and subverts the innocence of cartoon referents with a darker psychology. In his felt works, he cuts shapes from a piece of felt and pins the felt to the wall so that it hangs as a tangled form, resembling the drips and splatters of a Jackson Pollock painting. Herrera’s wall paintings also meld recognizable imagery with abstraction, but on an environmental scale that he compares to the qualities of dance and music. Herrera has received many awards including, among others, a Deutscher Akademischer Austausch Dienst (DAAD) Fellowship. He has had solo exhibitions at Centre d’Art Contemporain, Geneva; Dia Center for the Arts, New York; Centro Galego de Arte Contemporánea, Santiago de Compostela; Whitney Museum of American Art, New York; UCLA Hammer Museum, Los Angeles; and P.S.1 Contemporary Art Center, Long Island City; among others. His work appeared in the Whitney Biennial (2002). Arturo Herrera in his Berlin studio, 2005. Production still from the “Art in the Twenty-First Century” Season 3 episode, “Play,” 2005. © Art21, Inc. 2005. ART21: Can you clarify what you mean by [the word] chance, especially with the collages you’ve been photographing? HERRERA: By chance, I mean (in the photo work) that I usually don’t compose the way I’m photographing. I go through and take three or four photos of the same collage, but I’m not carefully composing what the final shot will be. I’m basically shooting four or five photos in the hope that maybe one of them will work out. I don’t spend a lot of time setting up the drawings or selecting the specific fragments. I’m letting the photograph lead me into this thing. Once the roll is done, I put it in water, and that’s where much more chance happens. The way the water seeps into the film—if it’s hot water or cold or coffee with ice cubes in it—it will affect the film and the emulsion on the film. After a week or a month there, then it’s taken to the lab, and whatever happens there will be part of the photograph. After all the photos are done, I go through a very strict system of editing and selection. The process is based on how strong these images are, which ways they please me, and which ways they become challenging to me—and hopefully challenging to the audience. They seem to be very intimate images, and they allow you to go into this state of making connections between the fragments that you see, what they are supposed to be, and what they bring to your memory. So, it’s a fairly subjective process. ART21: Can you say more about your system of selection? HERRERA: The system of selection is just based on quality—your own system of quality. Going through hundreds and hundreds of images, you tend to have specific choices or preferences. If I’m happy with them or if I find they are intriguing, then I will include them. Working like this, without focusing on specific compositions when you’re photographing, leaves you with many, many photographs that don’t make the final cut. Sometimes the emulsion gets stuck, or the film gets damaged. So, I don’t really know what’s going to happen to these things until I see them printed. ART21: What will be the final outcome for these photographs—the final work? HERRERA: These photographs are made in a series of eighty images. I think, when you see them all together, you tend to create your own kind of viewing or journey or path or choreography. You tend to be taken by specific images, and then you start going from there, back and forth like a ping-pong ball or a pinball machine. This process becomes a very private conversation with these images. What these images tell the viewer, I don’t know; that, to me, remains somewhat secret. They’re satisfying to me, and I hope they’re satisfying to the audience. ART21: Is there an associational narrative for you, or is it purely abstract? HERRERA: Well, the photos deal with the history of photography, modernism, chance operation, surrealism—they’re complex in different ways. But they are also very quiet. They don’t try to undermine or criticize or pay homage; they’re just part of a tradition which I respect. And this is just my participation with these images. I believe that the dialogue with these images is both emotional and intellectual. It’s a one-to-one dialogue, and associative power or juxtaposition is the way to enter the work. As you can see, the photos deal with my own mark making and popular culture. It’s a collage, taken to a photographic level. The fragment is still there, and the juxtapositions and the references are all exploding in front of your face. It’s kind of a silent cacophony. It’s loud but, at the same time, quiet. I’m interested in this kind of ambiguity about the images. They’re clearly from a tradition, they’re clearly based on fragments, and they’re being juxtaposed. They’re being forced to be together, there’s chance operations, and yet they’re just abstractions. Now, is that pertinent today? I don’t know, but I want to explore the possibility because abstraction is a fairly young language. ART21: How did your work change when you went to school in Chicago? HERRERA: I spent eight years traveling and working before that. I traveled in Europe and went back to Venezuela. It was a period of reflecting on what had happened in school and reflecting on what I wanted to do. I decided to go to graduate school in Chicago. That allowed for a very critical training. I think my interest in popular culture, cartoons and signs developed because these elements were easily accessible. They’re inexpensive. They were all around in stores—Salvation Army, Goodwill. So, you could actually make works very cheaply using glue, scissors, and paper. So, that allowed me to be able to cut and find fragments that were richer than the actual pages where they came from. Juxtaposing those fragments created other images with surprising effects. So then, I kept going. ART21: But doesn’t collage mean “to paste,” not “to cut”? HERRERA: To be able to paste two or three pieces of paper, you have to achieve that through cutting. But I think the most essential part of collage is imposing or juxtaposing—to glue a piece of paper on top of another piece of paper. So, that is the essential aspect of collage. Cutting allows you to concentrate on the essence of the fragment that you want to isolate. But collaging means gluing, that’s really the most important thing. That’s when the images are actually formed, when they’re actually joined together for good. Arturo Herrera in his New York studio, 2004. Production still from the “Art in the Twenty-First Century” Season 3 episode, “Play,” 2005. © Art21, Inc. 2005. ART21: Can you talk about fragmentation and the final image? HERRERA: I’m interested in how an image that is so well composed and so clear and so objective—made out of these disparate fragments—can be glued, forced together to create an image that will have a different reading from what the fragments said. Both sides are part of the image’s ambiguity, of not knowing exactly what I’m looking at, and then the clarity of the way it was composed. This is something intriguing to me. ART21: How much are you directing the viewer in your work? HERRERA: You’re on your own when you look at these images. Fragments offer a point of entry that you can identify in the piece. Once you’re there, you are in a complete process of association. And that process is completely different to another person’s process. So, I’m not directing you towards a specific reading. You will be able to form whatever information you want from this image because it allows this field of abstraction, with some subjectivity, and then the objectivity of the image is there, too. So, you shift back and forth without any kind of order or didactic direction from me telling you what to do or how to look at the image. ART21: What about the impact the scale of your work makes on the viewer? HERRERA: The collages represent a very intimate scale and actually indicate the way I work and the scale of the table that I work on. I think the scale of the collages allows for an intimate connection. And seeing them in series allows them to inform back and forth. The intimacy of the scale is important because when the wall paintings occur, it’s a completely different situation. Arturo Herrera, “Keep in Touch (from set #4),” detail, 2004. Installation view at Centro Galego de Arte Contemporánea, 2005. Production still from the “Art in the Twenty-First Century” Season 3 episode, “Play,” 2005. Artwork courtesy Sikkema Jenkins & Co., New York. Production still © Art21, Inc. 2005. ART21: What propels you to come to the studio every day? HERRERA: Coming to the studio is time for discovery. As Stravinsky said, “Unless you work for many hours, nothing is going to happen.” So, the muse of invention doesn’t exist; you just have to work. It’s a job, and you just have to come. For me, usually, it happens at the last minute of the last hour: I’m utterly exhausted, and I thought it was a wasted day, and then something happens. So, I believe in just being in the studio, trying different things, playing, experimenting. Working through chance accidents, it’s hard to be able to get some kind of result. Since I don’t work through specific ideas, I basically have to sit and come up with something. The only way to do that is just to come into the studio and get your hands dirty, get the X-Acto blade cutting paper. Unless I work, I don’t find anything. The more time I spend here, the better. ART21: But that’s not what propels you to be here. HERRERA: Right. I come to the studio to be able to create an image that will have a certain impact. All artists look at other artists from the past and admire some artists greatly because they had the courage to try—the power to be able to go into this other scale, or this combination of colors, or what have you. To be able to join them eventually is, first of all, a challenge. You want to get there (maybe I will never get there), but it just keeps you going—that you might be able to participate in this dance with these other people. If I make an image that is strong enough or generous enough to some viewers, then my job is done. I’m happy with the image; I feel it’s a strong image. And, if it actually provides some kind of emotional and intellectual nourishment or idea to the viewer, then my job is done. That’s what keeps me going. Is it possible to create an image that will have any impact now, with the multiplicity of images today, with the Internet and digital cameras and film and video? I think there are still images that people have not seen and that will be powerful enough to be able to send different messages. What kind of images these are, I don’t know. I’m trying to get there; I’m trying to find them. I don’t know what they look like. So, I come to the studio to dissect them from other fragments.